You know things are bad when the police move away from talking about whether crime is up or down and they start talking about how we stack up per capita. Wrong yardstick, officers. 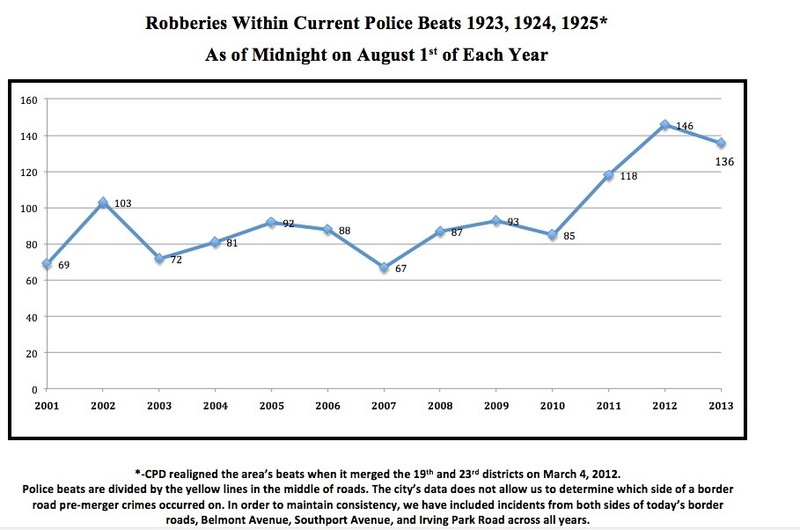 Violent robberies are way, way up and you know it. Now you're simply justifying the increase by telling us that we aren't being robbed nearly as much as the people in other parts of town are. Perhaps we should try harder? And this idea that the robbery surge is due to nightlife? That's ridiculous on its face. This may be surprising to some readers, but Wrigleyville and Boystown did not suddenly become popular nightlife districts in 2007. Boystown has been well-established for at least 20 years. Wrigleyville for much longer. 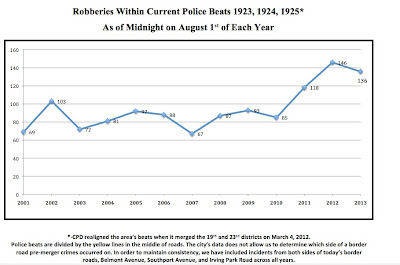 The "nightlife factor" has been a constant influence on robbery rates here for decades. It is a constant that's built in to every year's crime count. As far as population goes, Lake View's population was essentially unchanged from 2000 to 2010. The neighborhood lost about 500 residents, according to the Census Bureau. So, we can't blame a surge in population for the surge in robberies. So the nightlife isn't new. The dense population isn't new. The only things that are new are all these gosh darned robberies. Overall crime on the beat is down by 69 incidents from the same period last year, representing a 9 percent dip. Robberies have dipped by four incidents, or 7 percent; burglaries are down 44, or 59 percent; and motor vehicle thefts are down 26, or 58 percent. Thefts went up by seven, a 2 percent increase, and criminal sexual assaults doubled from five last year to 10 this year. Rewind. Let's play that again. 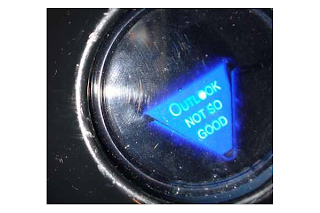 Robberies down by four, thefts up by seven? Hmmm. Sounds like this CWB commentator may know exactly what he's talking about. Well not too long ago Supt. McCartjy had all strong arm robberies or smash and grab as we call them, I.e. run up, push, and grab said property from victim. . . reclassified into theft from persons [instead of robberies]. All thefts from persons when force is used is really a strong arm robbery according to FBI/UCR crime classification. By decalssifyng a S/A to a theft from person you are effectively killing crime.